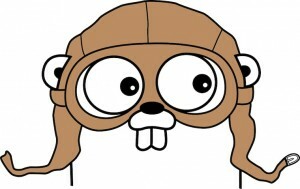 Go is a promising language. It’s a strong replacement for Java, it’s similarly productive to writing Python, and it is an excellent tool for writing servers. I’m starting to dive into it in my spare time, and in this blog post I will show you the basics of getting started with Go and Redis together. This tutorial assumes you’re running a flavor of Mac OS X and are comfortable with Terminal. Install Go. As of writing, this was the latest version for Mac. You must have Mercurial installed for the go get command to work. So let’s install Mercurial, which is super easy if you manage packages with Homebrew. Now, we can create our project workspace. Cool, now let’s create the redis go project. Paste the following into hello-go-redis.go. You will get the message back “Hello World.” Nice job, you just wrote your first Go script. Check out further tutorials on the Go site.